Last night was the first time since our opening league meeting in march that we've had a full team! By way of celebration a team photo was the order of the day - arranged by Steve, riders rounded up (eventually!) by myself and Phil, and then each of us getting a crack at our shots before the unruly rabble wandered off again! 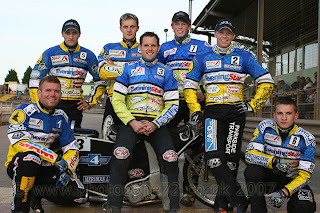 Considering our team now consists of one Englishman, a Swede, A Dane, three Poles (They will be the serious looking ones!) and a German I think three english-speaking photographers did quite well to get them all in the right place at the right time! 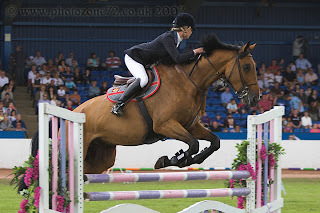 Off to Cardiff tomorrow for the Grand Prix - Woo Hoo! Can't wait now! Extremely quick post just to put up the first result from my initial experiments with my new Macro lens. It's a Canon 100mm f2.8 USM and so far seem like it's going to be great fun, but also a big challenge, to use. I shall no doubt - as someone said the other day - be "posting up random shots of things in close-up" over the next little while - enjoy! Speedway as usual tomorrow night, and then the weekend is the big one - Cardiff for the Speedway Grand Prix. As ever I can't wait - it's always an excellent trip and this year we seem to have plenty of riders to support with Tomasz, Jarek, Hans and of course Britain's very own Chris "Bomber" Harris. There will be others as well no doubt but I suspect those will get the loudest cheers from our little contingent! 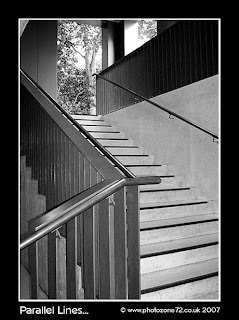 This staircase is in the foyer at the Museum of Childhood in Bethnal Green, London. It caught my eye because of the repeating pattern of parallel lines throughout the shot. The museum is great - well worth a visit. I remember going as a child and being rather bored but for sure when you go back as an adult it's anything but! We spent the whole way round exclaiming over things we remembered having as kids - and interestingly enough the ager gap between myself, katharine (2 years younger than me) and Vicki (Two years younger than Kath) was quite evident in some things and yet barely noticeable in others. Clearly there were some enduring toys that ran right through the 70's maintaining their popularity throughout. 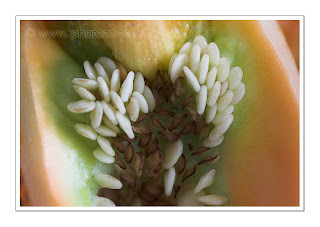 My macro lens has now arrived so I have to get going on practising with it. Other than that this week I have speedway on Thursday - and then more speedway on Saturday as at long last it's the British Speedway Grand Prix at the Millenium Stadium, Cardiff. Always a great day out and I think we are all looking forward to it hugely! 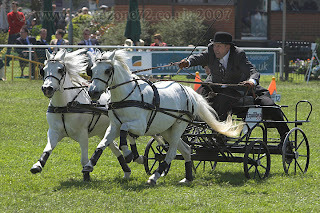 Another image from the East of England show on Sunday. 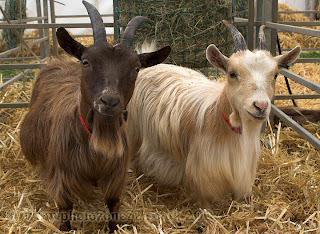 These two goats seemed quite interested in the camera and had to come and investigate before they stood back and posed! As usual the camera will be out again at speedway tomorrow night. The Witches are against Arena Essex (known as Lakeside unofficially these days) and the meeting will see the return of former witch Jesper B Jensen - something which most of us have been looking forward to for a long while! If nothing else it will add some much needed stability to the team - something which has been seriously lacking since Mark's crash in March. We headed off to the East of England Country Show yesterday. It was being held at the east of England Showground at Peterborough - the same venue as the peterborough panthers speedway track - in fact the showjumping pictured here was taking place on the centre green which was slightly surreal! It was nice to be able to have another attempt at some showjumping shots - and in slightly friendlier weather than the glaringly bright sunshine at the Suffolk show the other week. I think I'm starting to get it cracked now - it's practise more than anything and I'd like to try and take in some more at some point later in the year. I still enjoy watching it from a "horse" perspective as well as a "photo" perspective. One thing which did strike me as being glaringly obvious yesterday was that in spite of walking right round the showground in the course of the day there was not one single mention of the speedway ANYWHERE. Now I appreciate that the cost of a stand at the show almost certainly would be ruled out on basis of cost (although as the showground owners are the speedway's landlords, surely a subsidised deal could have been worked out?) but surely a sign somewhere along the line, or indeed a mention in the programme under "other events at the showground" in the same way that the local Rugby team had a one-liner in there? There are plenty at Ipswich who would have you believe that Colin Horton is some kind of speedway-superhero, but I have to say in the light of this I beg to differ. On passing the stadium on Foxhall road there are several references to the speedway on the outside, and if you attend the stadium for another event you enter right underneath a large photograph of Chris Louis in full flight with the "Ipswich Witches Speedway" banner attached. An excellent ad and one which it would be hard to miss! Stepping down from my soapbox and veering onto a different subject - I'm hopeful that my newly ordered Macro lens should be with me some time this week. I'm really looking forward to having a go at some "real" macro stuff - I even bought some new plants at the weekend so I have something to practise on! I must confess to being somewhat lazy about posting to here recently. Time seems to have got away from me a bit with the result that I've put nothing up for a fortnight, and indeed this shot is from the Suffolk Show which I attended back on May 31st. I spent abit of time around the main ring, and one of the most entertaining events of the day was the Double Harness Scurry racing final - boy oh boy can those little ponies shift! The team pictured emerged as eventual winners from an action packed final - don't they look magnificent in full flight? My PhotoZone72 website will shortly be undergoing a refurb so keep an eye on that. At the moment text is being re-written, updated photos selected and options for a new background etc being considered by my excellent webmaster and good friend Ross of ABC Data Recovery - as soon as there is any news on the refurb being completed I will let you all know.